It’s hard to find things my picky three year old will eat most days. Sometimes I feel like I spend so much time making new things for him to try and he still ends up wanting hot dogs or grilled cheese. 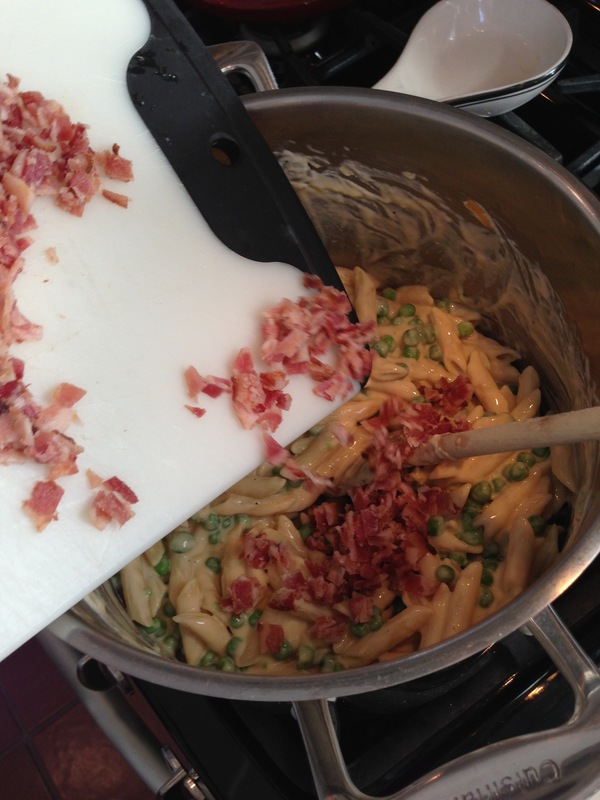 Peas are one vegetable he will never turn down and if you ask my husband, bacon makes everything taste better, so I thought this recipe was worth a try. To my surprise he ate his entire plate. A rare occurrence around here for sure! bacon in a 400 degree oven for approximately 15 minutes. Set aside. 2. 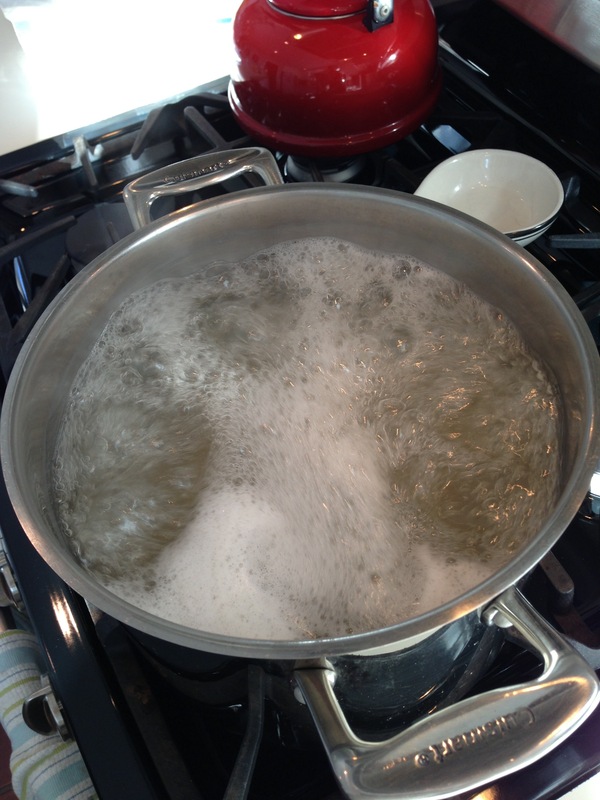 Bring a large pot of water to a boil and cook pasta until al dente. 3. 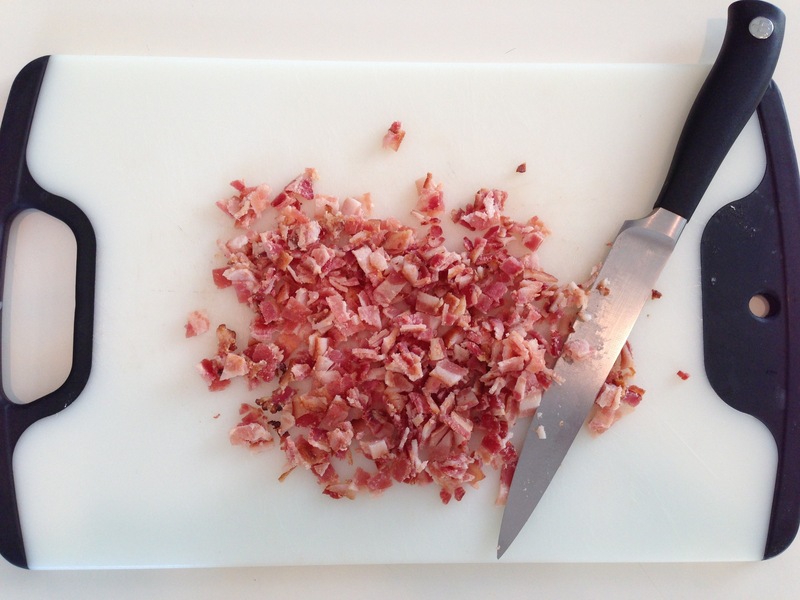 While pasta is cooking, cut bacon into small pieces and shred cheeses. 4. 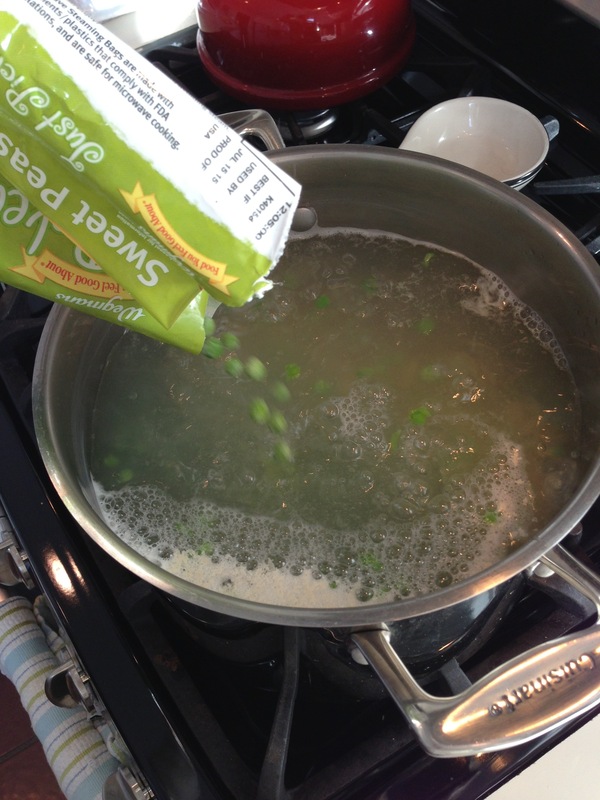 Before straining pasta, add frozen peas to water and cook for an additional minute. 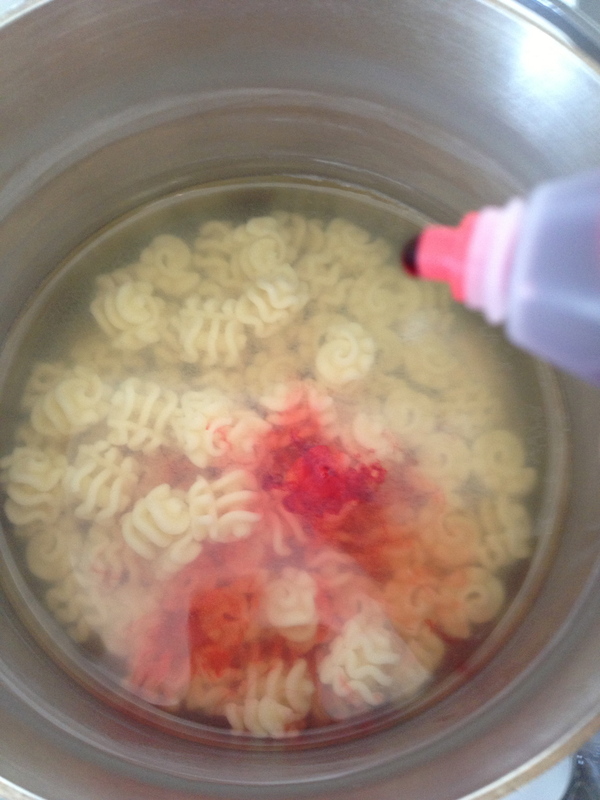 Drain water but reserve 1 cup of pasta water. 5. 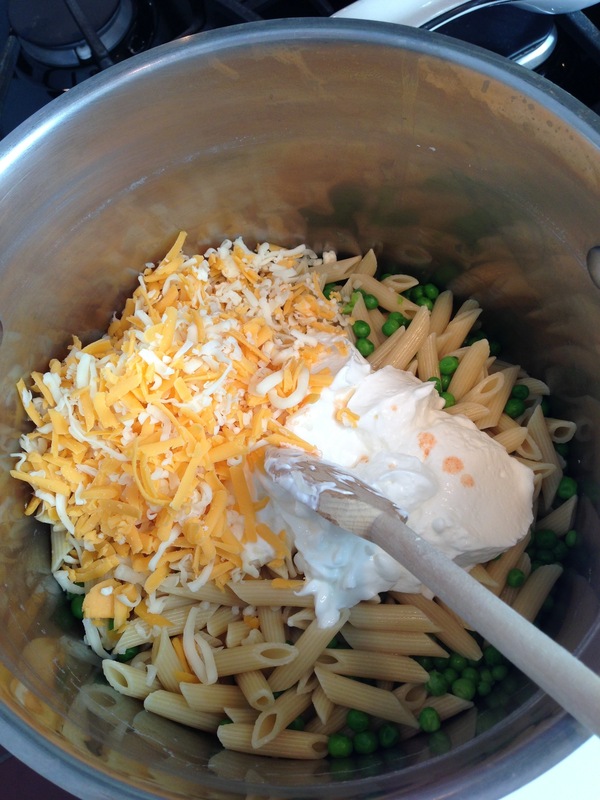 Return pasta and peas to pot and add in 1/3 cup of pasta water, yogurt, a few splashes of Tabasco and half of the cheese. 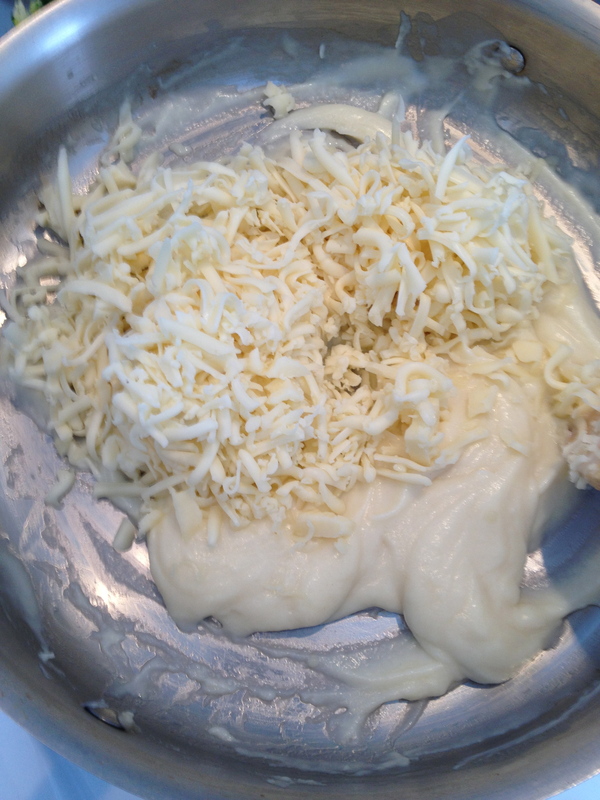 Stir until cheese is melted. 6. Stir in remaining cheese and salt and pepper to taste. Add in additional hot pasta water if needed to reach desired creaminess. 7. Add bacon and stir until thoroughly combined. Hope your picky eaters enjoy it as much as mine! This months issue of Parents Magazine couldn’t have come at a better time. 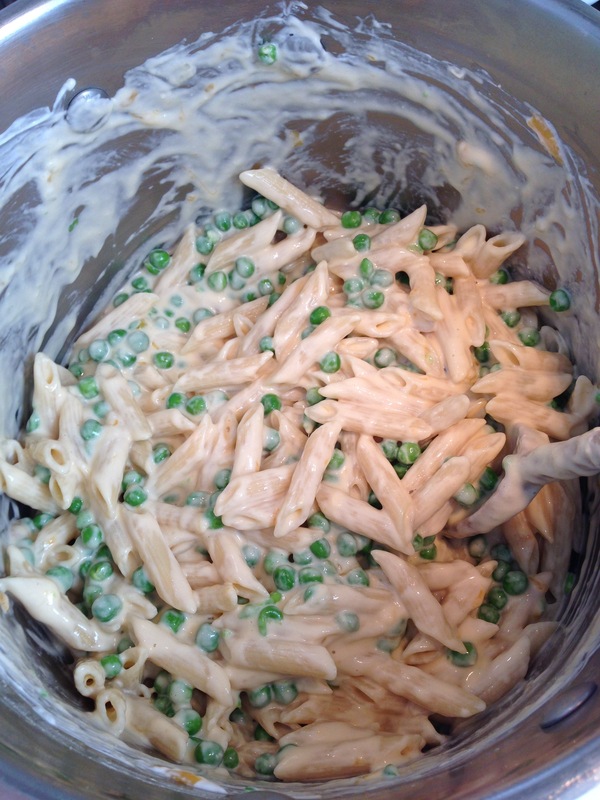 Parents Magazine offered up 21 Twists on Mac ‘n’ Cheese. From a Greek Style to a Protein Boost; there’s a Mac ‘n’ Cheese for everyone! 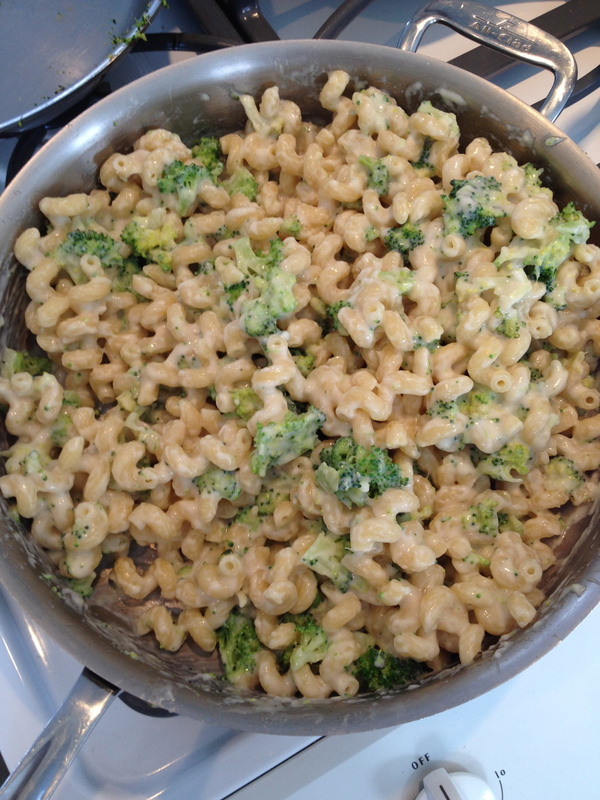 We started with the basic Better-for-You Baked Mac recipe and added some chopped broccoli. The dish was super easy to make and was a hit with the little one! 1/2 cup whole-wheat panko bread crumbs. 1. Preheat oven to 350 degrees. Coat 2-qt square baking dish (or what ever shape you have in at least the 2 quart range) with nonstick spray; set aside. 2. 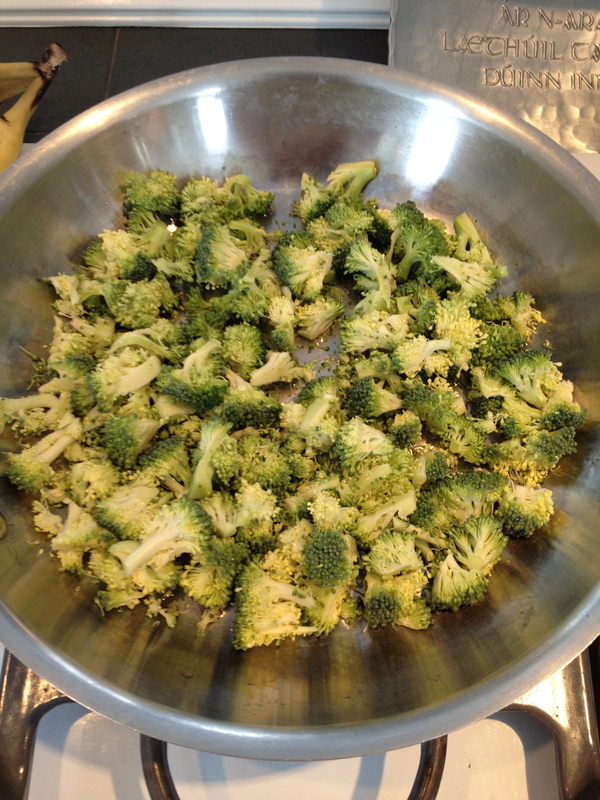 Chop broccoli, place in medium sauce pan with a small amount of water and a pinch of salt. Simmer on medium heat, stirring occasionally until broccoli reaches desired tenderness. 3. Cook pasta as directed on package; drain and keep warm. 4. 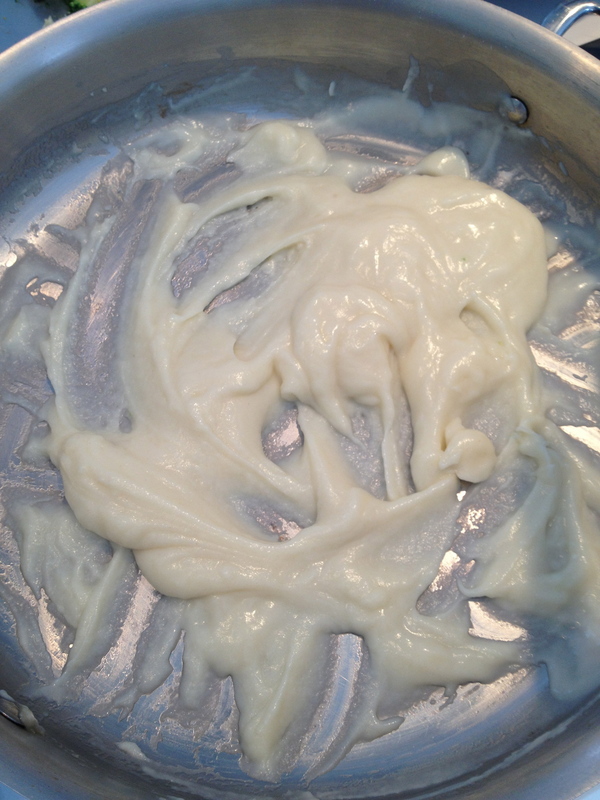 While pasta cooks, melt butter in medium saucepan. 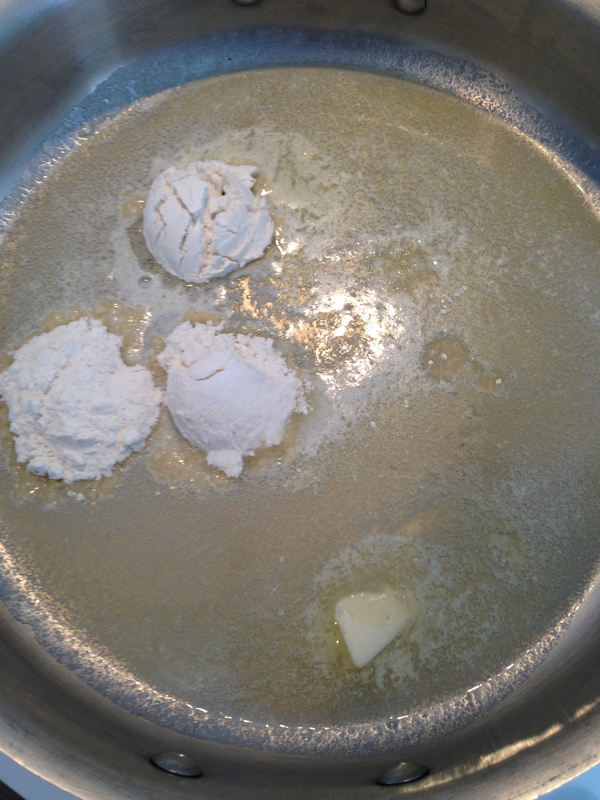 Add flour and salt; stir for 1 minute. 5. 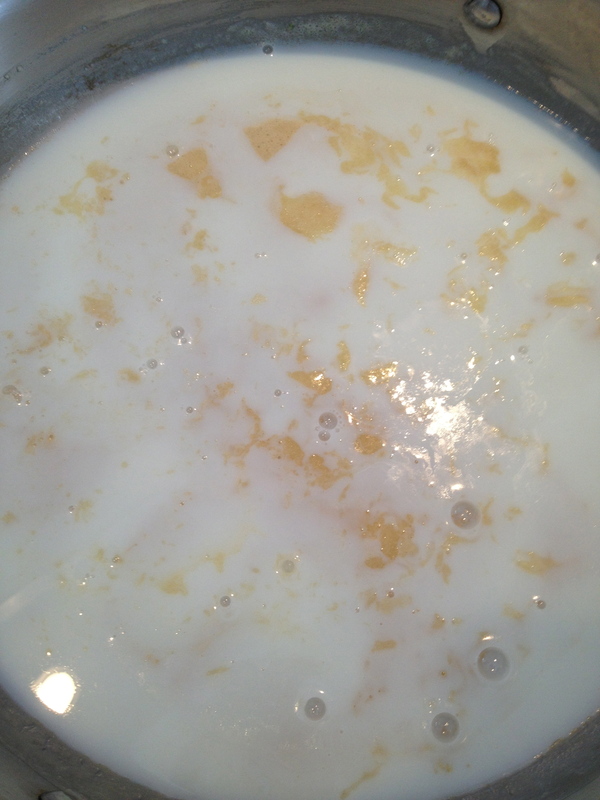 Add milk and stir until thick and bubbly. 6. 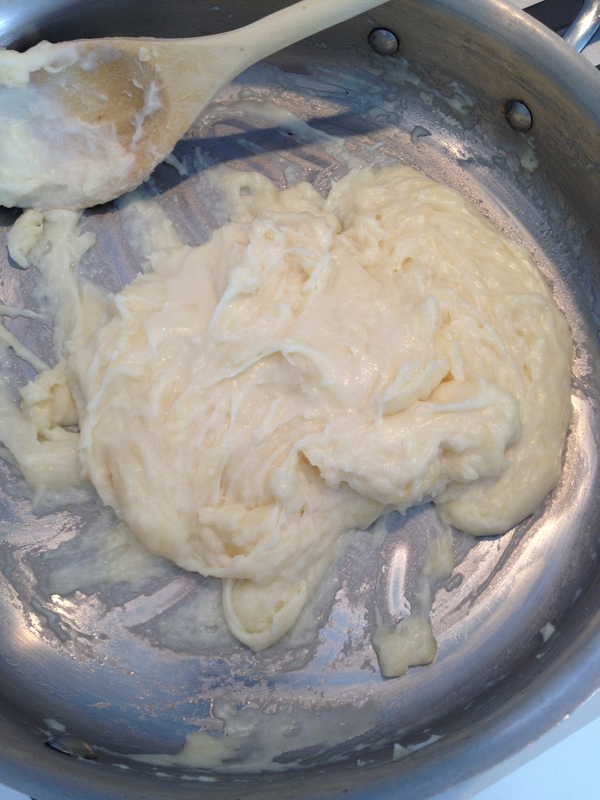 Remove from heat; stir in cheese until melted. 7. 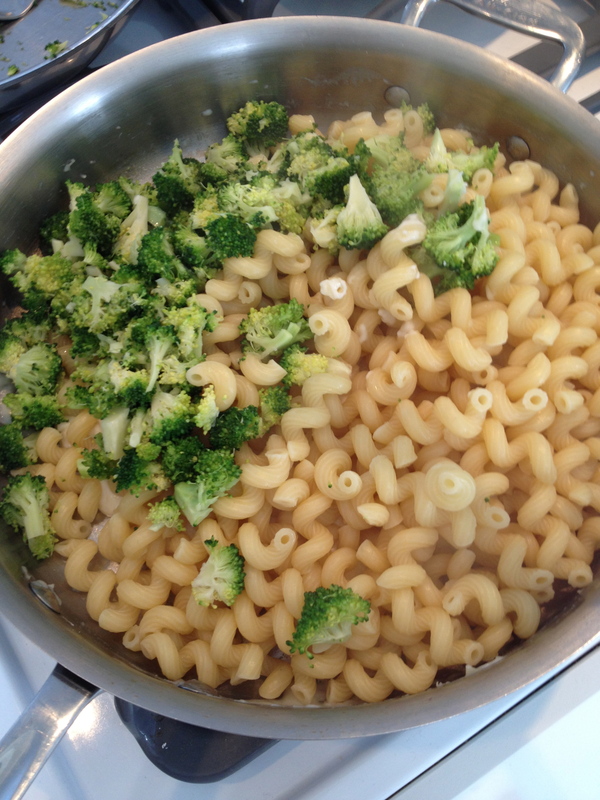 Toss together pasta, broccoli and cheese sauce. 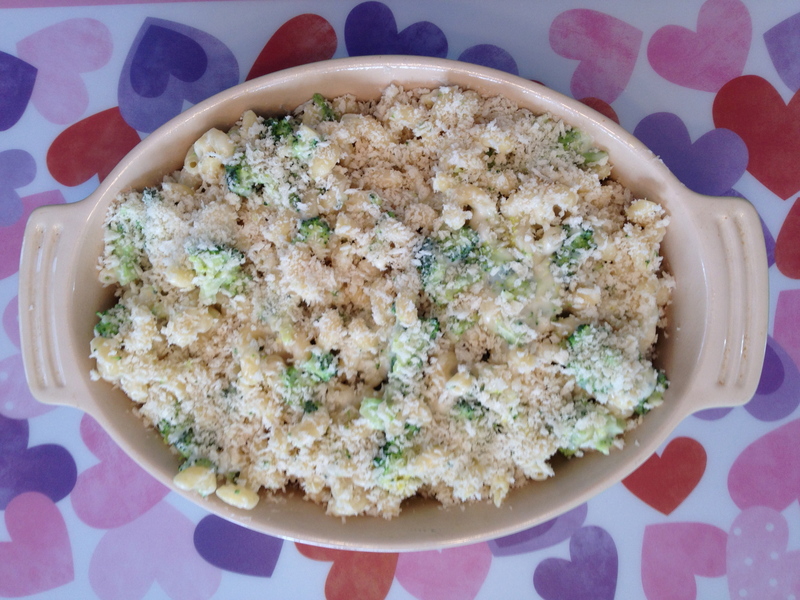 Transfer to prepared dish and sprinkle evenly with bread crumbs. Bake 20 minutes or until heated through. 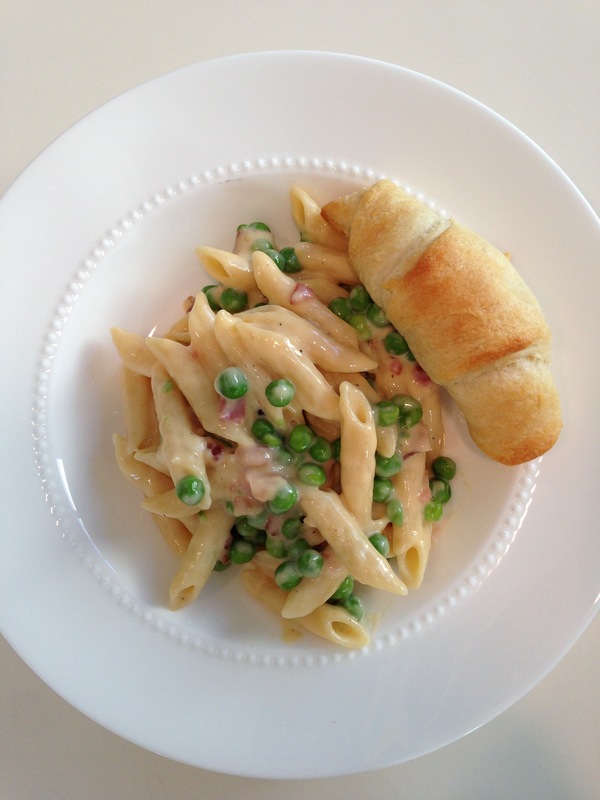 Thank you Parents Magazine for 21 twists to my daughters favorite meal! 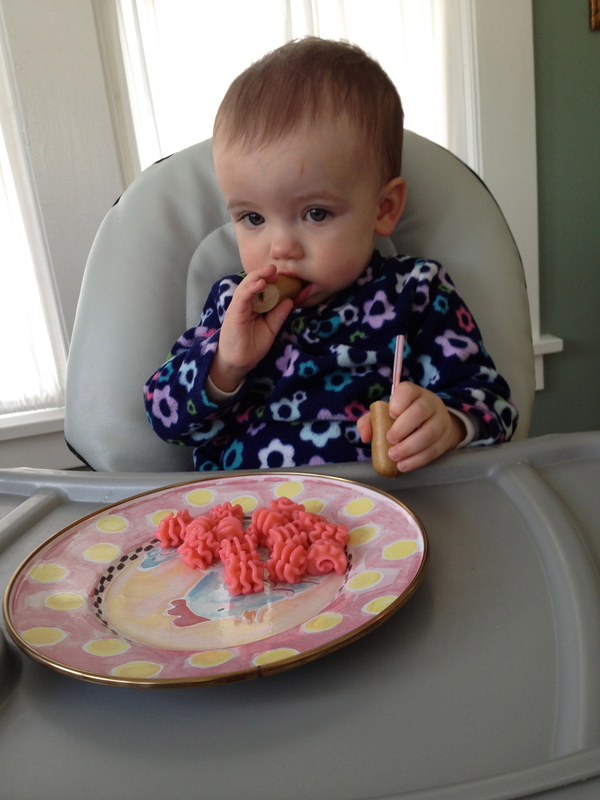 I had the perfect date for Valentine’s Day lunch…Reagan! 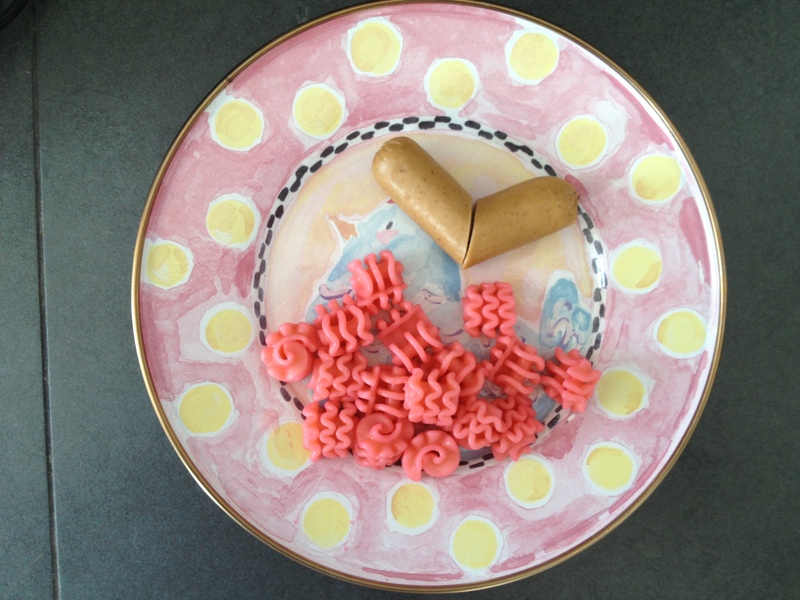 We made our boring pasta and turkey dog’s fun by adding a little Valentine’s love to them! 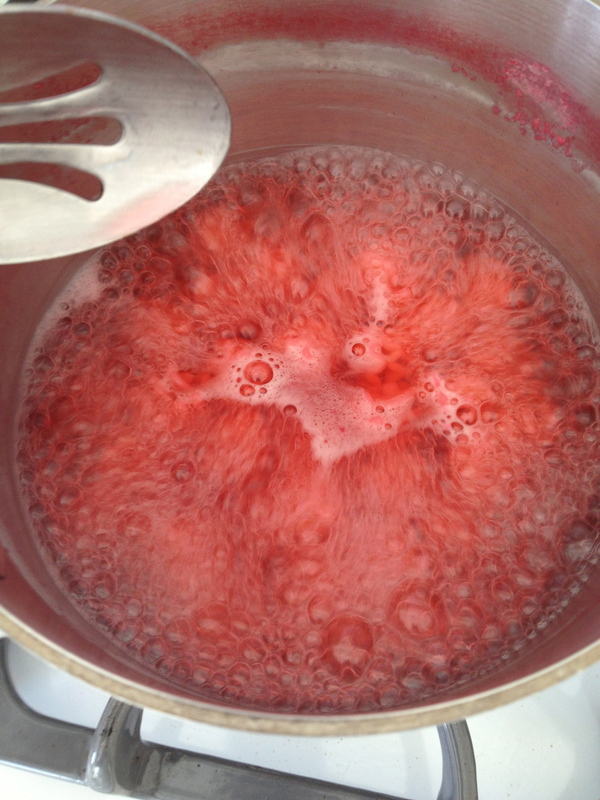 Boil hot dogs in separate pot of boiling water. I boil our dogs for about 10 minutes. 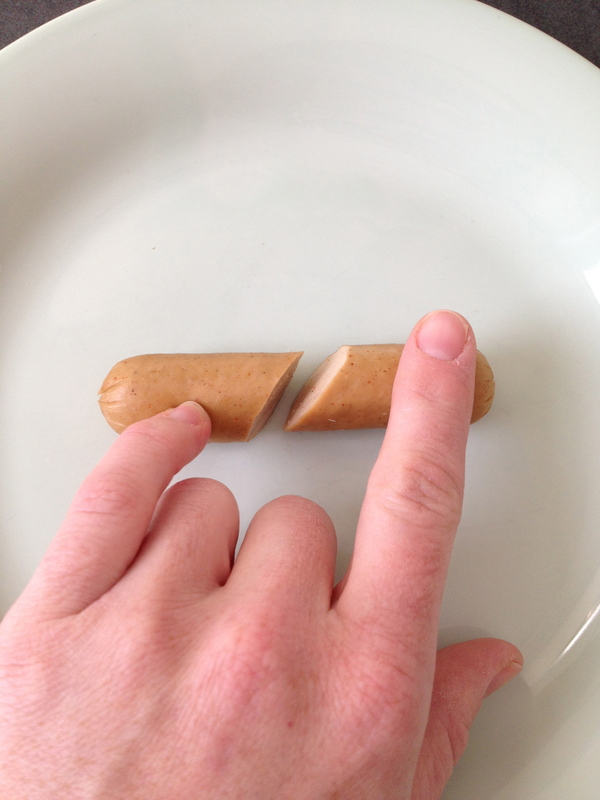 Cut middle of hot dog out at an angle so that you have two end pieces that are about an inch and a half long each. You can make the heart as big as you like by cutting away less of the middle of the hot dog or none at all. Reagan never eats the entire hot dog, so I figured a little hot dog heart would be perfect for her. 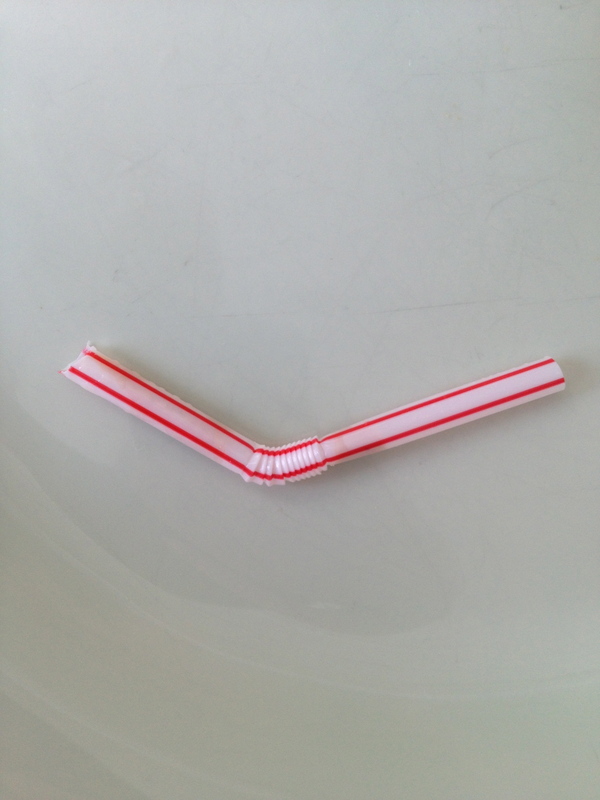 Cut the bendable straw so that neither end is longer than the length of the cut hot dog pieces. You want the bendable piece to be in the center. 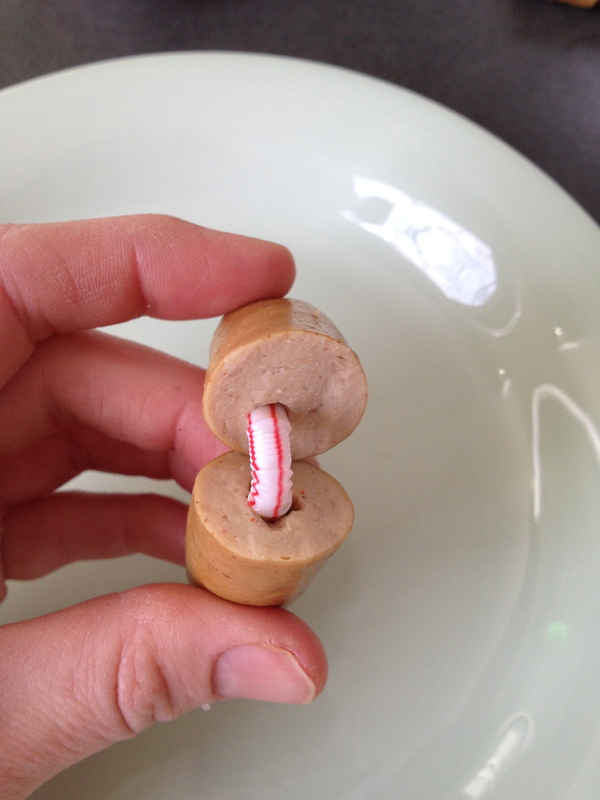 Insert each straw end into a piece of the hot dog so that the bendable part is towards the bottom point of your hot dog heart. Push rounded tops of the hot dogs to secure the straw into place. Ta Da! 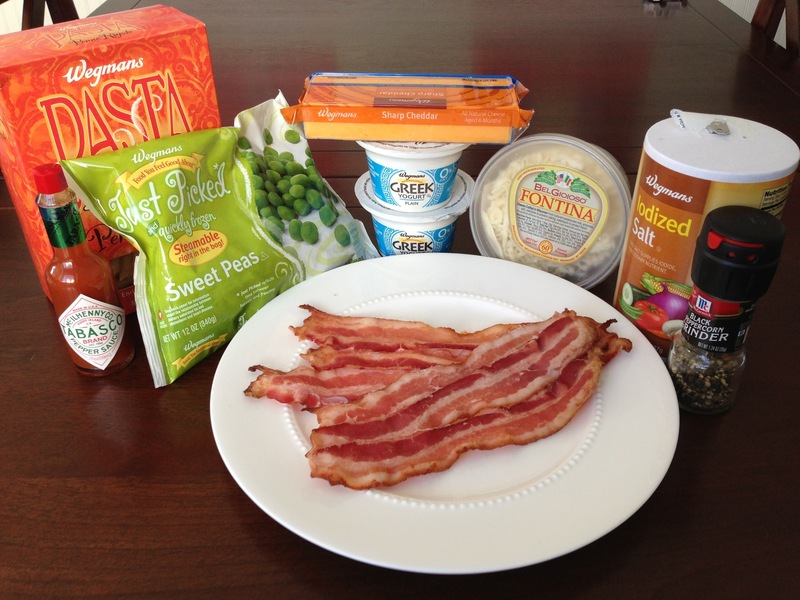 A Valentine’s Day lunch that Reagan will LOVE! We of course needed our fruit and veggie, so we also had a side of green peas and apple sauce! Now that I think of it, I could have dyed some cauliflower pink and added some red food coloring to Reagan’s apple sauce. She was happy with what she had and that’s all that I was aiming for!